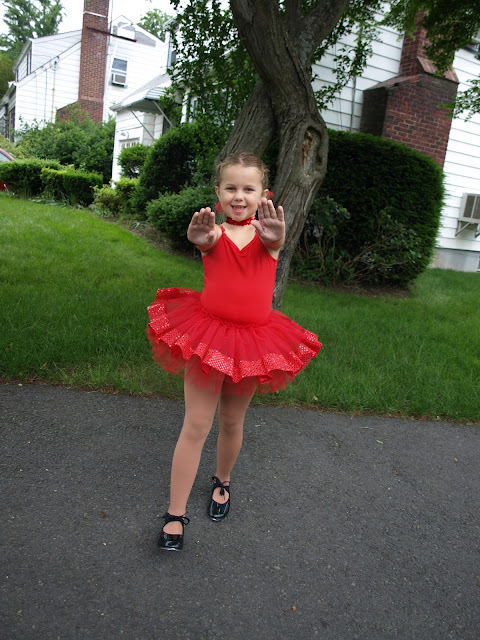 This was Zoe's 5th dance recital... but it was her first year of taking just tap dancing. The previous years her dance class did a little ballet/tap/jazz... and she always ended up with more of a ballet type recital dance piece. Since the Y dance department made a lot of changes this year... the kids where actually given more choices of focused dance classes. As soon as she heard she could take JUST tap dancing she was excited. 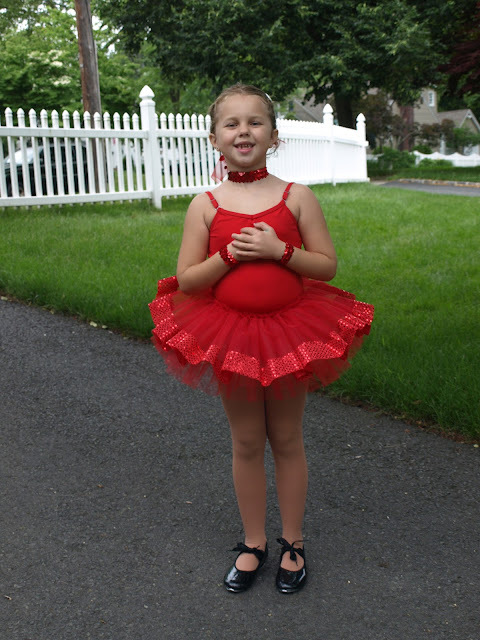 The funny thing is... the first year she actually does a tap dance... is the first year she actually got a "real tutu" for a costume. Zoe really seemed to enjoy tap dancing. She seemed much more interested in that actual dance steps... and she certainly did a lot of tapping around our house. Zoe is on the far right. 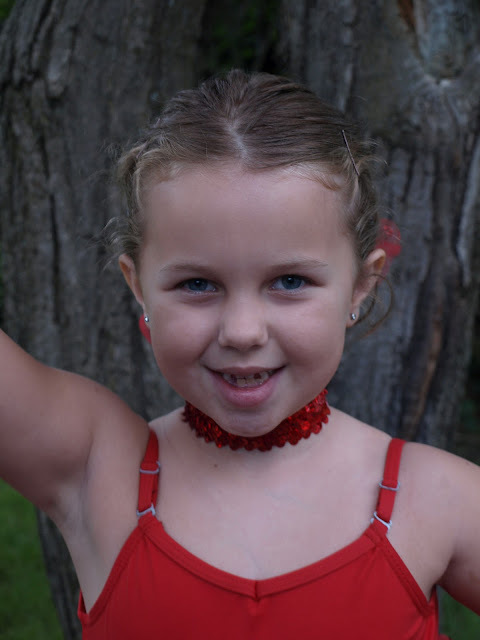 Every year at dance recital time I wish we had a good video camera. It's the only time we videotape though. Well... the only time we seem to videotape indoors, in poor lighting, at a little distance. I suppose once a year isn't a good enough reason to upgrade though, huh?